After we delve into the world of forex trading systems (briefly), we now go to the technical aspects of actually creating a system. While many gurus that asks for money from seminars will try to cater your insecurity by saying words you do not understand so as to become more believable. I’ll show you how I create my systems in simple to understand terms. In creating a forex trading system you only need a few things on your checklist. And they are comprised of rules that you must follow in order for the system to work. Because of these rules, they are set in stone. And in some cases, because of these rules being set in stone, they can be programmed and turned into automatic trading systems or bots. Of course, you create these rules… That’s the fun part. The hard part is actually following them. All forex trading system starts from the entry. You decide what entry signal or criteria that must be met in order to place your order. 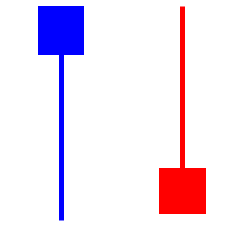 For example, when I started forex trading, I used this candle stick pattern to enter a trade. The only rule I have for entry is if the chart makes that kind of pattern. You may use this same signal for starters. Its actually one of the most effective and time tested signal in the forex market. From our previous rule, you’ll be risking $20. Where exactly is that? If you decided to trade in a currency pair with 1 pip = $1 increments. Then that means your stop loss should be 20 pips away from your entry. This is a good place to put your stop loss as it gives a leeway for the price to move and still be in the trade. And also, it protects you from sudden reversal. Some traders will say that they do not put stop losses because their brokers hunt stops to take their money. This may have a good basis to lose the stop loss but its a risky thing to do. Always protect your money. If you’re always getting stopped, then the most intelligent way to do is to adjust the stops and lessen your units or lots. You adapt to the situation. Let’s say you are successful on your entry and your trade is doing great. You let the trend run and now you are earning money. You want to maximize the trend to earn maximum profit to its end. You should have a rule that will enable you to “add” more positions as the trend is in your favor. Position sizing helps you compound your money, recuperate losses and earn more. It is the reason why low probability systems still makes money. Some forex trading systems only have 30% winning rate. But they are still a winner because their position sizing is good. They make large sums of money in every winning trade even if they only win 1 / 3 of the time. Exit rule can sometimes be synonymous to taking profit. It is the rule that will determine where and when you will say that you have enough of the trade or happy with the profits. Most of the time, some forex trading systems will move their stop loss rule to the point that they make profit and wait for the stops to get hit. This is a good exit rule because by continually adjusting your stop loss, you “lock in” on the profits. I highly recommend moving your stop losses as the exit rule. Or you can also make the exit rule like your entry rule where you wait another signal as your exit. Whatever floats your boat. 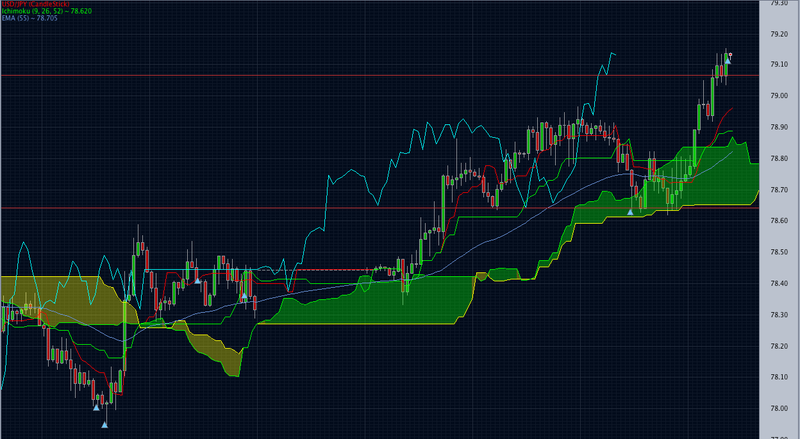 Here’s my trade for USDJPY. I followed the exact rule explained above. This trade alone gave me 40% increase in my capital. With 6 positions active, every pip increase just compounds. Position Sizing Rule: Add positions when previous trade’s stop loss is at break even point. Add position on rebound. Exit Rule:When stopped. I will move my stop loss as the trend goes and let it be hit. In a piece of paper, write down your rules. It is important that you write it down. You can make the most out of this assignment if you are in live trading. But demo account will do well also. But I highly recommend you go live at this point. Be sure to use only small amounts and build it up as you feel confident. Here’s our forex brokers list. When you think your trading system is working. Try creating another trading system, but only change the entry rule. This way, you’ll increase your chance to enter a profitable trade. And as you increase the number of patterns you know, you also increase the number of opportunities you see. There are a lot of books about candle stick patterns, please refer to our recommended books in forex trading page. Hi, I have a question, how do you enter in a pinbar, let’s say the blue one in your picture if that candlestick shows in the chart what type of order would you enter is it a long or a short order? and vice versa for the red? Hi Richard, if the pinbar has long tail and a head on top, it means, its going to reverse upwards. Just like the first trading position on that screenshot. On the other hand, when the tail is on top and the head is below. It means its going to go down.